It’s a measure of the great happiness that dogs can bring into their owners’ homes that even the most finicky housekeepers are willing to deal with the upkeep. Owning a dog is no trivial matter if the state of your home is of great importance because a dog can add considerably to your cleaning to-do list. They shed, they soil the carpet, they drool, their hair carries allergens, and they spread dander. What’s more, dog odor can dominate a household. It’s no wonder dog owners are so passionate about their pets — they’d have to be to keep up with the mess. Below are some budget-conscious ways you can keep your house as clean as humanly possible. Some breeds, especially the larger ones, leave a trail of hair everywhere they go. It accumulates and moves around like tumbleweed. And there’s really no one way to get it all up consistently, which means having a plan and plenty of cleaning “weapons” in your cleaning arsenal. Your single most important asset will be a quality, lightweight vacuum cleaner with powerful suction and brush action. Portability and plenty of attachments will make it easier to get behind and under furniture and keep the larger collections of dog hair cleaned up. Keep a good stock of supplies on hand and upgrade your vacuum if necessary. You can do all of this quite affordably by keeping an eye out for online deals and cashback deals offered by retailers like Walmart. People with hardwood flooring sometimes buy a dog believing that dog hair won’t be an issue as it would be where carpeting and furniture are concerned. Contrary to popular belief, a dog that sheds abundantly will still leave plenty of hair deposits in the corners and along the walls, so consider investing in a Swiffer as well as floor polish, which can be found affordably through coupons and online discounts offered at stores like Amazon. If you own a German Shepherd or Irish Setter, it may be necessary to set a daily reminder to give the flooring a good cleaning, especially if someone in your family has allergies or a pulmonary problem. Many dogs have a thick undercoat, which creates a tremendous amount of loose fur along with the top coat. Keeping your pooch brushed regularly is a good way to get out in front of the problem, and if you can, arrange to do it outdoors so much the better for your cleaning needs. Invest in a long-tooth undercoat “rake,” a strong form of brush that can extract maximum amounts of loose hair that would otherwise wind up on your favorite couch or, even worse, in your nasal passage. If you have upholstered furniture, keep several lint rollers near to hand to prevent the accumulation of hair and dander on your expensive belongings. To keep your arsenal well-stocked, use money back options and weekly sales when you shop stores such as Target to save money. The odor of dirty or wet dog is unmistakable and can leave a guest to your home with an unfavorable impression of your cleanliness. 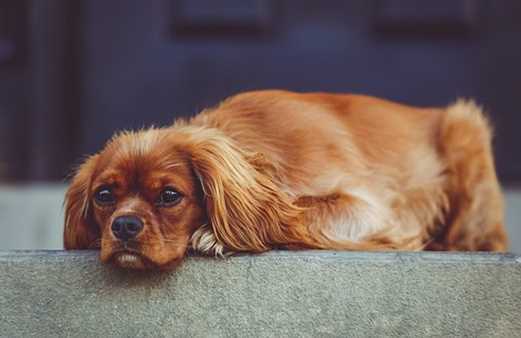 If you favor an environmental and budget-friendly antidote, consider utilizing a solution of water and vinegar, which is a powerful natural cleaning agent, and clean with warm water and baking soda the areas where your dog sleeps and likes to hang out. Keeping a hearty supply takes some money, so consider signing up for sites such as RetailMeNot, which can help you keep your budget in order. Dog ownership means you need a willingness to do a lot of cleaning and the tools to do it thoroughly. Once you have a hair-cleaning strategy in place, follow it religiously and you’ll find maintaining a clean and orderly house to be much easier.